Exercising care and caution when using your washing machine can help prevent a number of repair issues occurring. 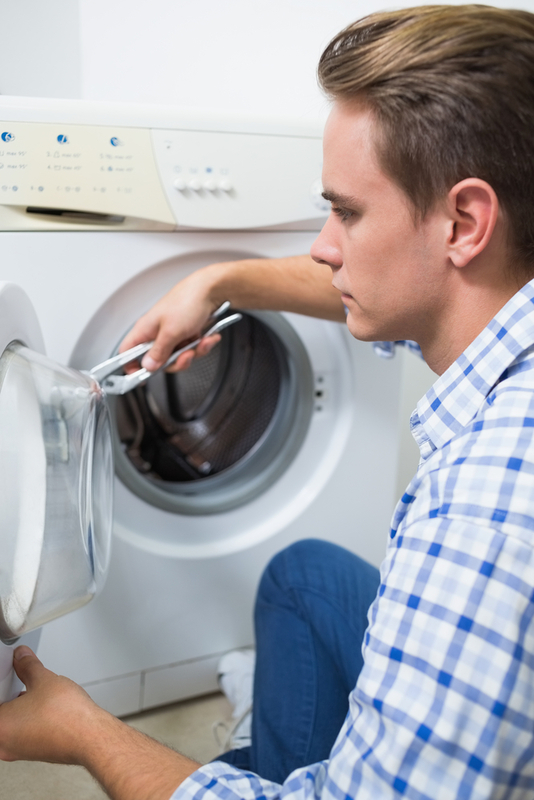 If you’re wondering which common mistakes can result in washing machine troubles, the professionals at Just Appliance Repair can help. Providing an extensive range of appliance repair services, the Poughkeepsie, NY-based company sheds light on a few things homeowners can avoid to keep their washer running smoothly. Filling your washer past its capacity can take a toll on its performance and cause long-term damage to the unit. Overloading makes it difficult for the central agitator in top-loading washers to rotate and ensure proper cleaning of your laundry items. In front-loading designs, heavy laundry loads can result in heavy energy consumption even though the clothing items aren’t being adequately cleaned or rinsed out. Double check your pockets and empty them out before a wash cycle to save yourself from a plethora of appliance repairs. In particular, appliance service providers remind parents to check their children’s pockets for things such as markers and crayons. These items can bleed color into your laundry, leaving permanent and unsightly stains. Additionally, plastic wrappers and tissue paper can clog the drainpipes and damage your washer’s electrical components. Waiting too long to move washed clothes to the dryer causes your washing machine to retain moisture and become susceptible to mold and mildew growth. This not only lends a bad stench to your clothes but can also result in a number of hygiene issues for future washer cycles. Washer and dryer repair experts recommend removing clothing items immediately after washing and leaving the machine door open for moisture to dry up. In the event of a major appliance repair issue, turn to the experienced technicians at Just Appliance Repair. For more information on their washer and dryer repair solutions, call (845) 243-7052 or visit their website. Their appliance services are available to the residents of Poughkeepsie, Mid-Lower Hudson Valley regions of Orange, Ulster, Dutchess, Putnam, Sullivan, Westchester, and Rockland Counties, in addition to Northern New Jersey and parts of Connecticut.